Are you ready to experience a unique Korean culture? 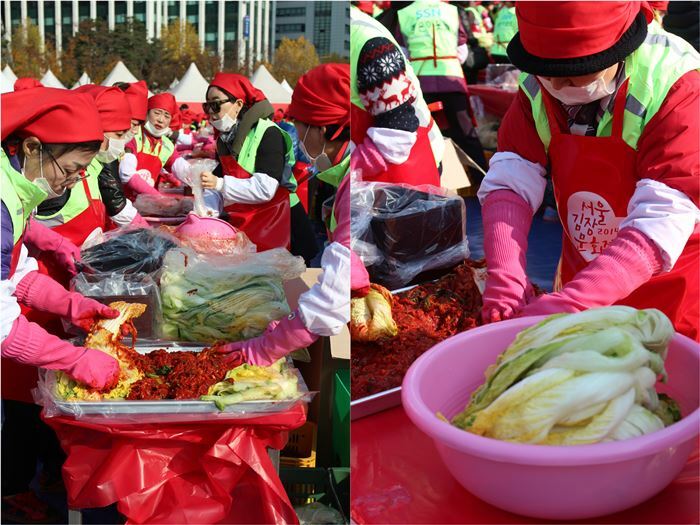 The Seoul Kimchi Festival is going to be held this weekend from November 6th, 7th and 8th. The main event is Kimjang (Hangeul: ê¹€ìž¥) ~ the culture of making kimchi. Kimchi preparation takes about a year ~ from spring when seafood are harvested and processed into fermented shrimp (ìƒˆìš°ì “: sae-u jeot) and anchovy sauce (ë©¸ì¹˜ì “: myeol-chi jeot). In the summer, sea salt is prepared for the brine or kimchi salt bath. In late summer, red chili peppers are washed, dried and ground to make red pepper powder. Come fall, the vegetables are readied for the big event ~ kimjang! 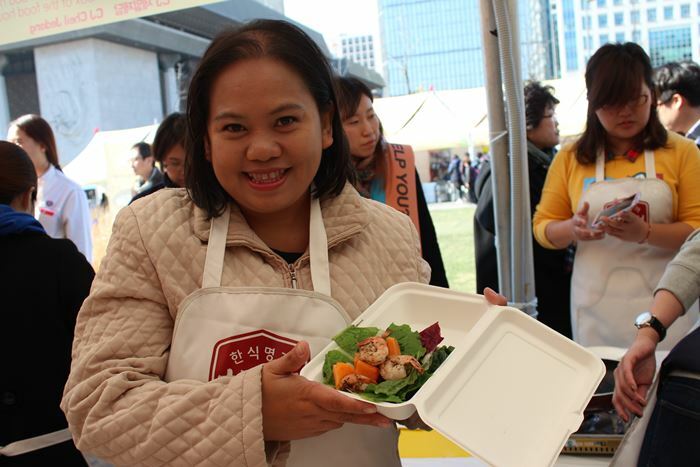 The Seoul Kimjang Festival’s main event is kimchi making at Seoul Plaza and hundreds joined last year. 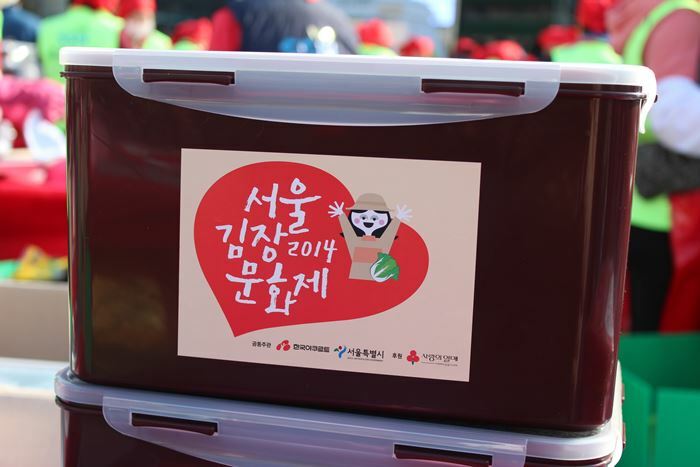 NGOs shared their time to make thousands of kimchi that were distributed for the less fortunate citizens of Seoul. 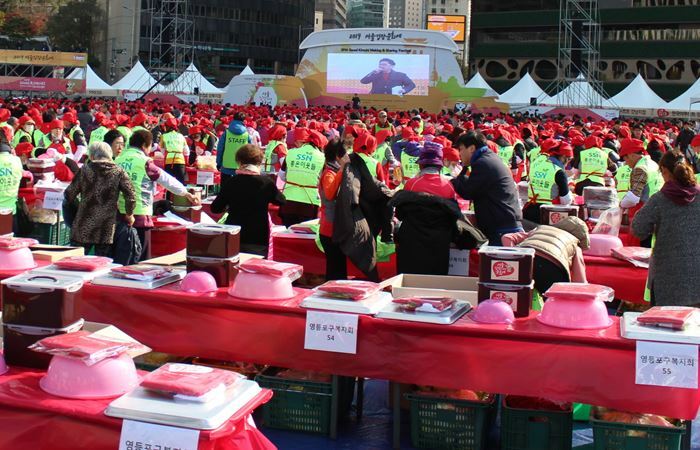 There were churchgoers and even just groups of women (and men) who joined in the largest event of making kimchi. Ajummas having fun making kimchi for the less fortunate. Aside from the kimjang, there are other events and exhibits during the festival. Last year, I participated in a cooking class for “dosirak” or lunch box food. It was all free ~ the class, the ingredients and I also got to take home a bag of freebies from the sponsor. We made bulgogi kimbap and a green salad with shrimp and persimmon.